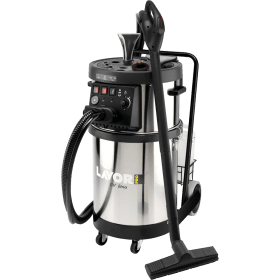 The Lavor Etna4000 Industrial Steam Cleaner is ideal for use in the work place where cleaning / sanitizing is required such as hotels, hospitals, automotive valeting, carpet cleaning, degreasing kitchens or any place where superheated dry steam is required. 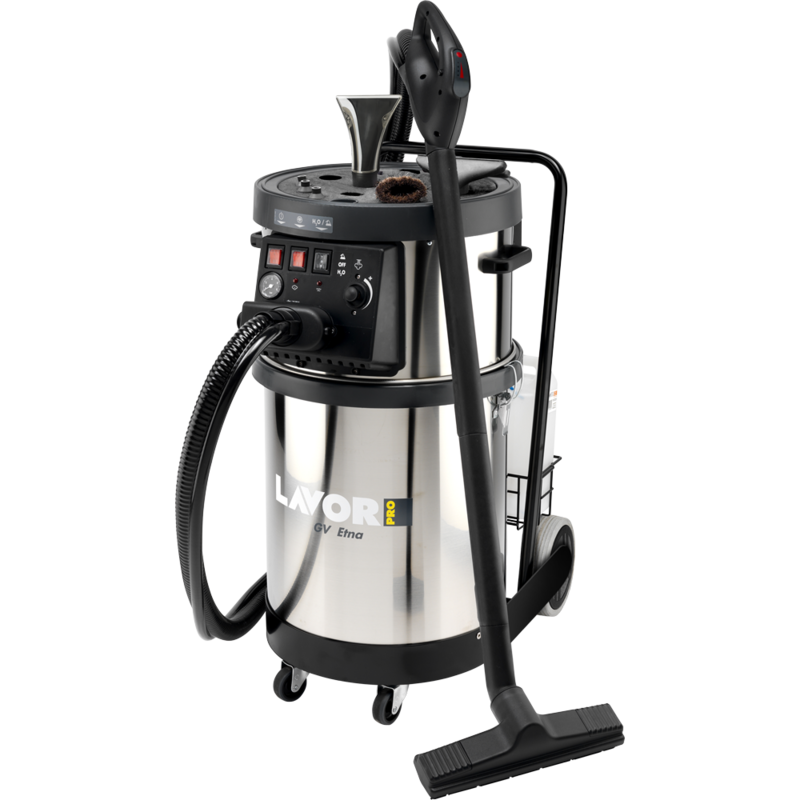 It produces high pressure saturated steam with fast initial heat-up time. Unlimited autonomy due to continuous power supply of boiler, which enables water top-ups in tank without having to stop the machine or interrupt work. There are three pumps available on the machine; boiler, detergent and water. Presence of 2 thermostat, 1 pressure switch and 1 pressure valve provide maximum safety. The Lavor ETNA 4000 is a low cost multifunctional steam generator that includes a wet & dry vacuum cleaner, spray extraction carpet cleaner and a powerful 3KW Steam Generator.